Global trade is a moving target in today’s political scene. 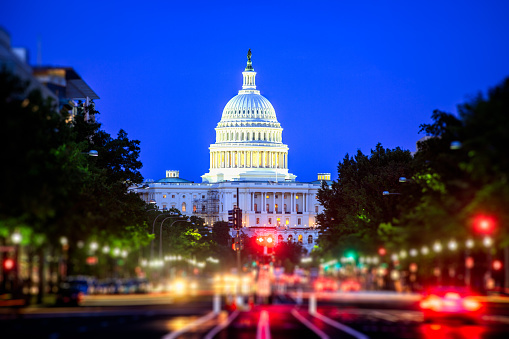 How are these issues in Washington, D.C. impacting your world and supply chain? Many trade agreements with other nations are in review and things change on a daily basis. At BluJay’s 2018 SOAR customer conference, Tom Gould, Senior Director of Customs and International Trade at Sandler, Travis and Rosenburg, provided a brief update on the most closely-watched negotiations, as of May 2018. President Trump’s recent announcement that he would impose additional tariffs, also known as duties, on steel and aluminum imports has stirred concerns about the impact on manufacturers, consumers and import-export. The President determined that there was a national security need to help the U.S. steel industry by imposing restraints on the import of steel to increase the ability of U.S. steel companies to compete on international markets and to produce more steel. Several key trading partners were exempted from this tariff, however on June 1, exemptions expired, and the U.S. began levying a 25 percent tariff on steel and a 10 percent tariff on aluminum. Major trading partners, including the E.U.f, Canada, and Mexico are firing back with retaliatory measures, imposing trade tariffs of their own on American goods, with a special focus on goods from states that support Trump. Reactions to the steel and aluminum tariffs are varied and passionate. Thousands of petitions have been filed, and the issue is a political hotbed. There are fears of cronyism and trade lobbyists have been very busy. There are many backroom deals being discussed, and often deals are made and then reversed. What can you do to minimize the impact on your business? Companies can submit for exclusion through a petition process. There is an online format for submitting your request, and you must fill out a separate form for every product. If granted, the exclusion is good for one year. The President has authority to impose trade restrictions on countries for various reasons, and the proposed Section 301 tariffs are targeted at China because of unfair trade practices related to U.S. technology and intellectual property. The U.S. identified 1,100 product lines from China for imported goods, many focused on robotics, aerospace, industrial machinery and automobiles. In retaliation, China vowed to impose tariffs with the same scale and intensity and created its own list of goods that it will put duties on that are imported from the U.S. These could be the first shots being fired in a trade war. The Trans-Pacific Partnership is back in the news again. The U.S. withdrew from the TPP in January 2017, and the remaining member nations moved ahead with a new version of the pact – the Comprehensive and Progressive Trans-Pacific Partnership (CPTPP), with most of the original agreement intact. In March, the CPTPP nations held an official signing ceremony in Santiago, Chile. In April, the Office of the United States Trade Representative (USTR) began reviewing whether the U.S. should rejoin. The U.S. and the Republic of Korea have reached an agreement in principle on KORUS trade negotiations, which includes quotas at 70% average exports of steel and aluminum based on 2015-2017 data, and an increase in U.S. cars exception from 25,000 to 50,000. NAFTA renegotiations are ongoing, and automobiles continue to be a key hurdle. The U.S. is making demands that Mexico and Canada don’t want to agree with, including higher wages for auto workers in Mexico. On March 30, the USTR released the 2018 National Trade Estimate Report, which is an annual review of trade practice fairness between countries. The report blasted China for unfair trade practices, violations of World Trade Organization (WTO) obligations and set up the 301 Tariff action against China. One of the largest companies in China, ZTE was banned from buying U.S. parts in April because it was violating rules and selling to North Korea and Cuba. ZTE asked the U.S. to stay the order because it threatened its financial viability. The U.S. and ZTE came to an agreement whereby the U.S. would lift the ban on buying U.S. parts if the company agrees to pay a $1 billion fine, overhaul its leadership and meet other conditions. The U.S. and the E.U. lifted economic and financial nuclear-related sanctions on Iran in January of 2016 in exchange for Iran’s significant curtailment of its nuclear program. In May 2018, the U.S. ceased participation in the Joint Comprehensive Plan of Action (JCPOA) with plans to re-impose nuclear-related sanctions against Iran. The sanctions impact the direct or indirect sale to or from Iran of graphite, raw or semi-finished metals, coal, software for integrating industrial processes and automotive goods. The US will revoke JCPOA-related authorization for imports of Iranian-origin carpets, food, financial transactions and commercial passenger aircraft. For up-to-date information, visit the Tariff Actions Resource Page, sign up for the Sandler, Travis & Rosenberg Trade Report or watch their monthly trade update webinar.